Our Pilot Brewery contains Newlands steam-fired 20-barrel brewing system. The small batch system allows for brewers to create new recipes and experiment. 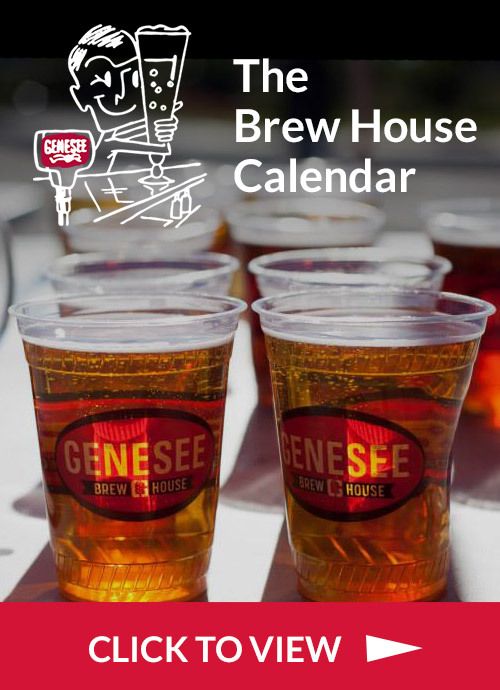 We offer three different beers that are exclusive to the Genesee Brew House. The beers change frequently. Guest brewers are sometimes invited to partner in creating new experimental beers. A portion of proceeds from the tasting bar benefit various local charities throughout the year. This quarter we are supporting Flower City Pickers and The Nature Conservancy. The tasting bar is open Sunday–Wednesday, 11am–9pm and Thursday–Saturday, 11am–10pm, and features a flight of four different beers for $5. You may also purchase growlers to enjoy our beer at home. Tours of the Pilot Brewery are free and can be taken at the top of any hour when guides are available. Tours are available on request, Monday–Thursday at 1:00, 3:00, and 5:00; Friday and Saturday on the hour from 12:00 to 7:00 and Sunday on the hour from 12:00–5:00. Times may be subject to change due to special events. Please read over the tour guidelines before visiting us for a tour. If you plan on coming in a large group of 10 or more, or in a tour bus/limo, you must register with the Brew House ahead of time. Please read the tour guidelines and fill out the accompanying registration form. Please note that we do not accept buses or limousines past 3pm on Friday, Saturday or Sunday. For safety reasons, patrons wearing open-toed shoes or heels will not be permitted on the brewing floor but may still enjoy a tour from the platform. At the Genesee Brew House we are committed to ensuring that all of our guests have a memorable and safe experience during their visit with us. Please take a moment to familiarize yourself with the following policies. Pilot Brewery tours at the Brew House discuss the brewing process and the history of the Genesee Brewing Company, and can last 15-30 minutes depending on guest involvement. Tours are offered throughout the week to the public strictly on a first come, first serve basis. As these tours have become extremely popular, space is limited and tours do fill up quickly. Larger parties are highly encouraged to book a private tour with us if interested, otherwise there is a chance we may not be able to accommodate your group. Pilot Brewery tours do not include beer tastings. Tastings are separate and cost $5 per person for four 2 oz. samples in our pilot brewery. All tasting proceeds from our pilot brewery are donated directly to local charities. We are happy you are interested in visiting us and learning about our beer! In an effort to maintain a safe, fun, and family-friendly environment please review our bus and limousine registration policies below. All groups arriving by charter bus or limousine must register with the Genesee Brew House by submitting this form (online or in person) no later than three business days prior to arrival. Please note that we will be unable to accommodate your party if your bus or limousine is not registered with us. Registration of your bus or limo is not a reservation for beer tasting, lunch or dinner. Please contact Paul Constantine at paul.constantine@fifco.com or (585) 419-5760 for further information. If you plan to visit multiple breweries on the day of your visit, the Genesee Brew House needs to be an early stop on your itinerary. Intoxicated guests will not be admitted into the Brew House or on tours, regardless of pre-registration or tour reservation. Everyone wishing to purchase alcohol must have a valid form of identification. Acceptable IDs include: valid U.S. driver’s license, passport, military ID, or U.S. identification card. No out-of-country or paper forms of identification accepted. 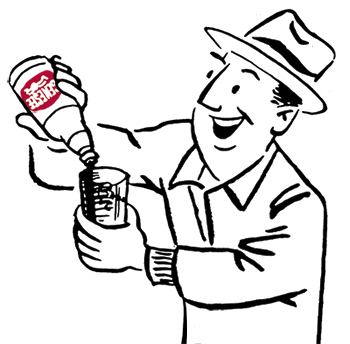 If you plan to purchase beer from the Genesee Brew House store, all members of your party must be at least 21 years of age and ready to present valid IDs. Please click here to complete the registration form for your tour bus or limousine. Again, registration of your bus or limo is not a reservation for beer tasting, lunch or dinner. Please contact Paul Constantine at Paul.Constantine@fifco.com or (585) 419-5760 for further information.